In anticipation of the new Nikon mirrorless launch, I long ago began doing research on what Nikon DSLR users’ expectations might be for such a new product. Use current F-mount lenses. This isn’t unexpected, and I’ve seen other poll results that also put this at a high expectation level. It very well may be the most important aspect of the new Nikon mirrorless system, as far as DSLR users are concerned. Historically, long-term Nikon users tend to be high-end photo enthusiasts. Most of them currently live in the D7500 to D850 realm (going back to the end of film, N80 to F5). My surveys have long shown that this group has a lot of Nikkor lenses, and they’ve been collected over a long number of years. 10+ lenses is very common among this group. Thus it is no surprise that this group would want to continue to use those lenses if they were to pick up a new Nikon mirrorless body. How well and how seamless this works is crucial to Nikon managing to transition anyone from DSLR to mirrorless. Superior focus performance. Note I didn’t write “good focus performance” or “DSLR-like”, but used a rather specific word: superior. That’s because in the comments I got a lot of “we don’t need mirrorless unless it’s better” type of feedback, and those were pretty much all targeted at focus. In particular, eye detect or face detect focus, and also in particular, with fast lenses (e.g. f/1.4, which DSLRs tend to have some issues with due to the way the phase detect cells are masked; the true sweet spot for excellent DSLR focus is in the f/2.8 to f/5.6 range). Most of the Nikon DSLR users I’ve surveyed are actually quite happy with their current focus performance, though the thing that came up most often for dissatisfaction was focusing on eyes with fast lenses. So Nikon DSLR users aren’t likely to respond well to a mirrorless system without clear indication that that new system provides an additional benefit, e.g. great face focus with no need to monitor or override. Great WYSIWIG. DSLR users see the world as it exists (optical viewfinder). There’s no lag, no distortions, no clipping on highlights or shadows. The eye through the DSLR viewfinder sees the “same” as the eye looking at the scene. One thing some appreciate about mirrorless is that you can see how the camera sees (e.g. exposure, white balance, profile). That’s great for evaluating pre-exposure as opposed to doing it post (chimping), but it has side effects. EVFs are basically small video screens—typically half inch—with optics to magnify them. Both those things can be problems. The EVF has a fixed brightness range, a fixed color space, a fixed pixel count, and the optical chain behind it can be anything from adequate to excellent. What I believe the survey responses were saying is this: the DSLR users won’t give up the “seeing like the eye sees” for “seeing like the camera sees” unless that’s done at a very high quality level. Wide brightness range, wide color space, and lots of pixels, with good glass to magnify it. I should also point out that clear focus peaking and zebra striping was also mentioned quite a few times. Again, that’s seeing how the camera sees. Retain the DSLR ergonomics. Front and rear dials, button/dial interactions, lots of configurable buttons, well positioned focus controls, and a right hand grip that correctly positions the hand and where you don’t move the hand while changing controls. The design language that Nikon inherited from their interactions with Giugiaro is something that the Nikon faithful want retained with no or minimal changes. Smaller and lighter. DSLR neck is something we all would like to get rid of. And airline restrictions are getting tighter and tighter for the traveling photographer. I’ve always felt that Canon/Nikon were not paying enough attention to downsizing their product, but with all the recent products (SL, EOS M, PF lenses, AF-P lenses, etc.) we’re starting to see they probably finally got the message. Nothing else popped up on the radar at a level that I’d call meaningful. Sure, there were plenty of very specific responses about one feature or another, and a number of folk mentioned video in some way, but only the four things mentioned above showed up in large quantity and across most surveys. 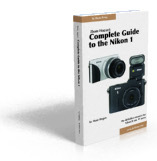 So, as you evaluate all the information and commentary that’s being put out on Nikon’s new mirrorless system today and in the coming weeks, consider the above as a simple tool to evaluate whether Nikon really has a winner or not. Nikon has a dual-purpose with this new system: (1) attract new users; and (2) retain existing users. That second group has just four things they really are looking at, thus it should be easy to predict how well the new Z system mirrorless cameras will attract the existing Nikon DSLR user.